As you molest your hair at work, in the car, or on the computer (or phone) as you read this post, you lightly caress your hair strands, feeling the soft tresses that are all yours. Wow! You think to yourself. My hair feels good. You work your way down to the ends, and then your hand gets stuck! What the...no not again! This can't be happening to me! But I just trimmed last week! How can this be! You have been attacked again by those dreaded single strand knots! 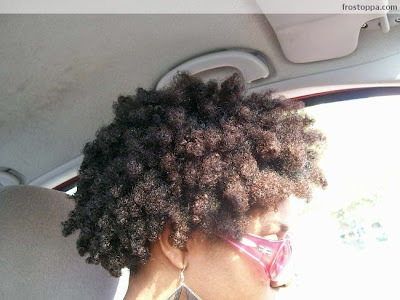 With natural hair, you are going to experience some degree of single strand knots. You can't escape all of them. But I will share with you how I keep my single strand knots down to a minimum. The best prevention I have found against those mini fro killers is to keep my hair stretched out most of the time via braids, twists, twist outs, braid outs...you get the picture. Wearing a shrunken fro for long periods of time in my experience, encouraged those SSK to form due to the kinks and curls of my hair. Even when I wash my hair, I still keep my hair stretched out. 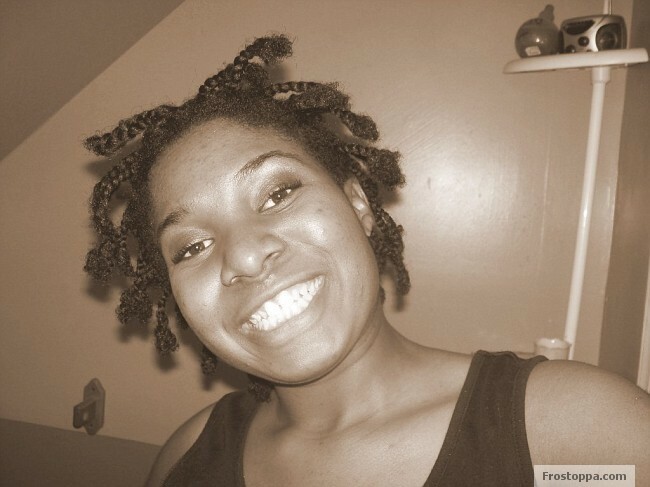 I will put my hair into several different sections and braid or twist it up and secure the ends with scrunchies. I am a firm believer that washing my hair in sections, and never letting my hair get loose and wet at the same time is another prevention against not only ssk but also tangles. Only cause I love you guys mayne!!! That is the only reason why cause this picture is jacked! This is an old picture with damaged colored ends of me and my night time braids. The last technique that helps reduce the amount of ssk that I have is braiding or twisting up my loose fro every night. If I wear a twist out or braid out, I make sure to keep my ends stretched. This was the resulting braid out from the braids shown above. 3)If you wear a twist out, braid out, or some other "out" style, make sure that you rebraid or retwist that style up before bedtime.